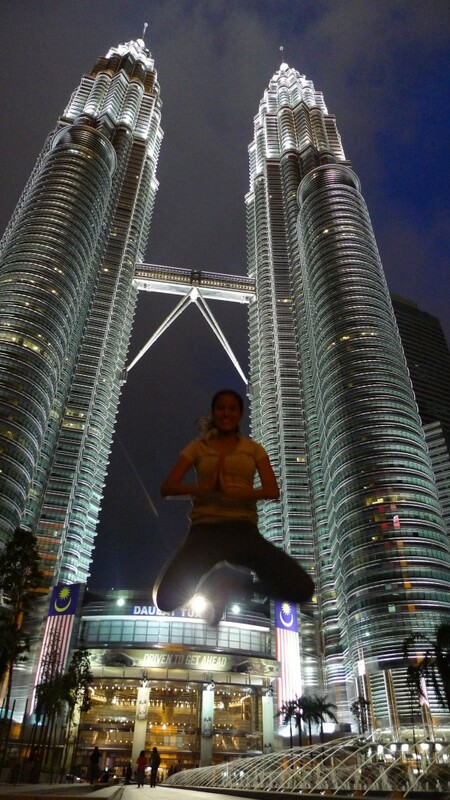 Home > Tourist Spots > Petronas Twin Towers: I Miss You Like Crazy! Four months ago, I embarked on my first trip to Kuala Lumpur, Malaysia. I booked that trip a few days before my 24th birthday due to this very attractive seat sale a local airline conducted. Although I only had enough money that day, I decided to click that button and went to the nearest bank to pay over the counter. I’m glad I did. I spent that weekend in Kuala Lumpur and stayed in a good friend’s house. I went there with no strict itinerary in mind. I guess that is one of the disadvantages of traveling to a place where you know someone based there will serve as your guide – you tend to be dependent on him/her LOL. 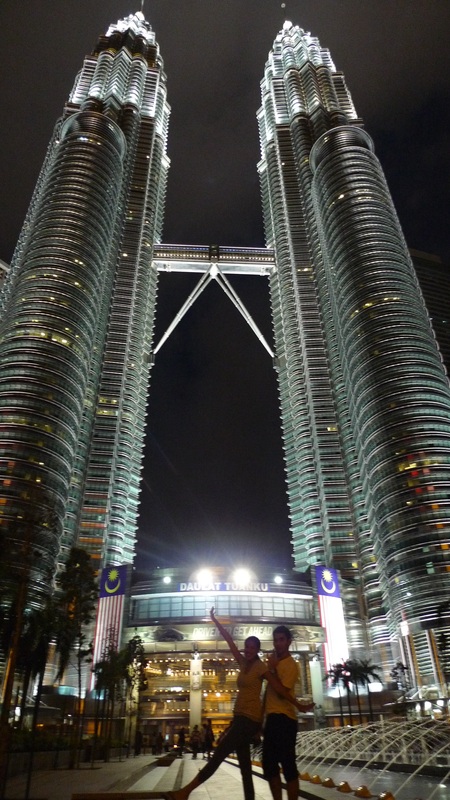 I admit it – I want to go to Kuala Lumpur because of the Petronas Twin Towers. The John Lloyd Cruz- Bea Alonzo romantic film ‘I Miss You Like Crazy’ attracted a lot of hopeless romantics to embark a trip to KL – me included. 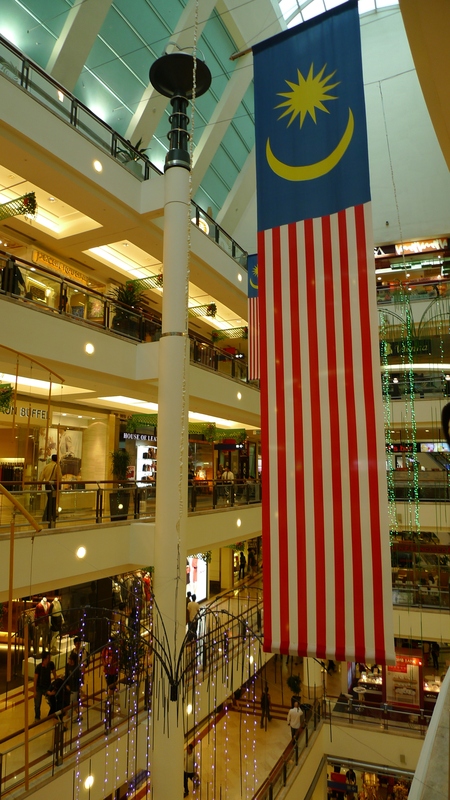 It is one of the most recognized landmarks of Malaysia and most travelers go there. Right after our exhausting but fun trip to Resorts World Genting Highlands, Edward and I went straight to the shopping mall Suria KLCC. I accompanied Edward do his shopping spree. I am not really a shopper, but I enjoyed this specific shopping time with him. 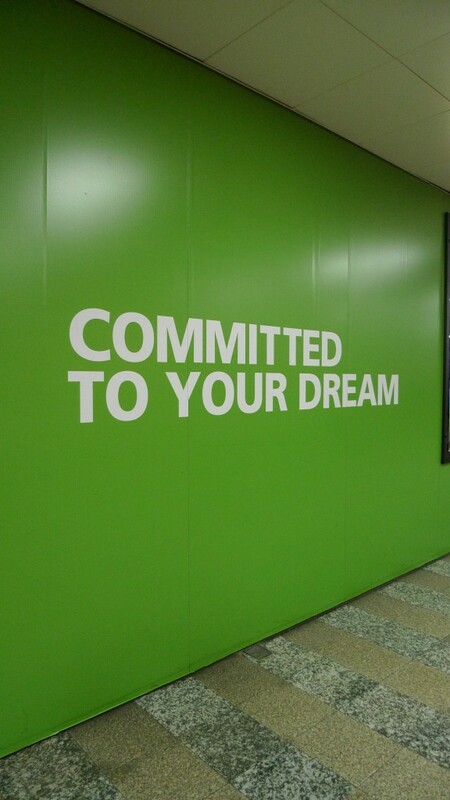 I also liked some of the clothes in the stores which are on sale, but the budget won’t permit me to buy clothes hehe. Too bad LOL. We were also hungry so we went around to look for a place to eat. For the second time, I booked a trip to Malaysia again on a Ramadan season. It means that most Malaysian establishments would prioritize those who practices fasting on this holy month. We tried our luck from the fast food chains to the food court to the high-end restaurants, but no luck. We then decided to just go out and enjoy the sight of the Petronas Twin Towers. And there we were. Still in awe, the sight of the Petronas Twin Towers seems surreal. How did they construct this magnificent twin tower? It is a romantic sight indeed. I cannot blame the head writer of the Bea-JLC movie on why he/she was inspired to have this landmark as the setting. It’s so lovely, i’m gonna cry! There were solo travelers, lovely couples and those in groups. I bet the solo ones wished they have their special someone on their side while staring at the PTT. Those who were lucky in love surely tried their best to make this Petronas moment as romantic as possible. Those who are in groups just enjoyed the moment, me thinks. For me? I want a JUMPSHOT! It’s really nice to know that Marx, a co-PTB member is also there that time! It’s our first time to meet in person. He was with his officemates. I am planning to go back to Malaysia next year. Hopefully, I’d be able to explore more parts of Kuala Lumpur. I also want to visit Penang for a food trip and Langkawi for some nature-tripping. aba talagang my buddha jumpshot pa sa baba ng petronas. nice. I think it’s just a bit similar when you go to Metro Manila din in the Philippines. There are good places within KL, but I only had two days there awts. Parang nasa Makati ka lang din kapag nasa KL ang difference lang wala kasing iconic na building dito sa atin eh. Balik then ako next year para sa Melaka, and Penang. true, the twin towers are charming and mesmerizing. kahit lights lang nya, it’s so magical na..
Love ze jumpshot. Wala rin ako pangshopping when we went to KL. Hahaha! hahaha. ganda talaga ng Petronas. People say it’s an overrated destination pero iba pa rin sya when you’re there to witness how big each tower is! Most especially pag madilim! Feeling ko kasi di majujustify ng photos kung gaano kaganda ang Petronas Towers! Di pa rin ako nakakapagsulat about KL. lol! yan yon e… mga closing statements na ang lakas maka bea alonzo! I miss them like crazy as well. Love the shot of you jumping! 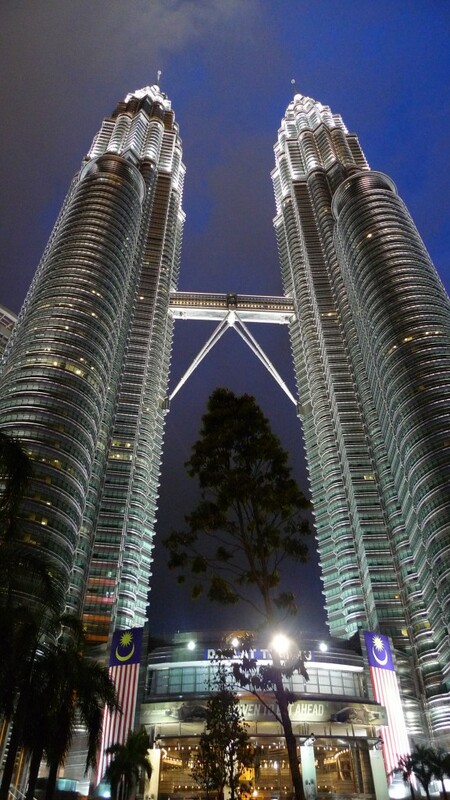 I fell in love by Petronas Towers when i first saw it in the movie ” Entrapment” by catherine zeta-jones and sean connery . Never thought na makakapunta ako sa place nato soon. Soon means next month na and i’m freakin excited now !